Kick back in the plush comfort of the Maverick recliner. The bucket seat and biscuit-style back and seat offer the ultimate in relaxation! Coupled with generously padded arms, you’ll be ready for that weekend movie marathon. Upgrade to the Reclina-Way® Recliner for the ability to fully recline just inches from any wall. 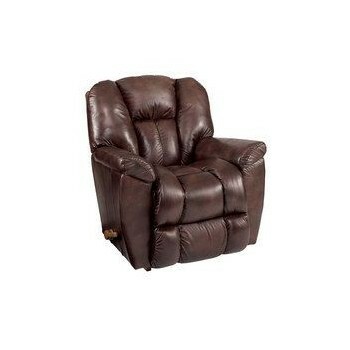 Or, check out the Reclina-Glider® Swivel Recliner to spin 360 degrees! There are Power Reclining options, too!